This entry was posted in Creating Awareness and tagged a time for change, apple cider vinegar, Awakening, CHANGE, Consciousness, DivineHumanBeing, Energy, enlightenment, IAM, Menopause, New Energy Consciousness, The wisdom of menopause by Barbara Franken. Bookmark the permalink. So happy to see you in my reader again! There is so much renewal in midlife for woman and men if we nurture the transition. Spices and nuts and wild salmon and sardines are my friends. Great post! Cashews, walnuts and hot herbal tea are my mainstays lately. 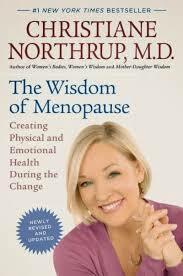 Although to be fair, my menopause lasted about one year! I’ve never had children though, and have heard that not having children decreases the effects of menopause for some women. It was true for me anyway. My older sister is just entering menopause, while mine ended 3 years ago. Great post Barbara, thank you! 🙂 I have that menopause book of Christian in my personal library — it’s a gem, indeed! Jean Shinoda Bolen calls us ‘juicy women.’ 🙂 She also wrote a wonderful, insightful book on the Wise Woman: ‘Crones Don’t Whine: Concentrated Wisdom for Juicy Women,’ which I also highly recommend! Thanks for sharing and blessed be.